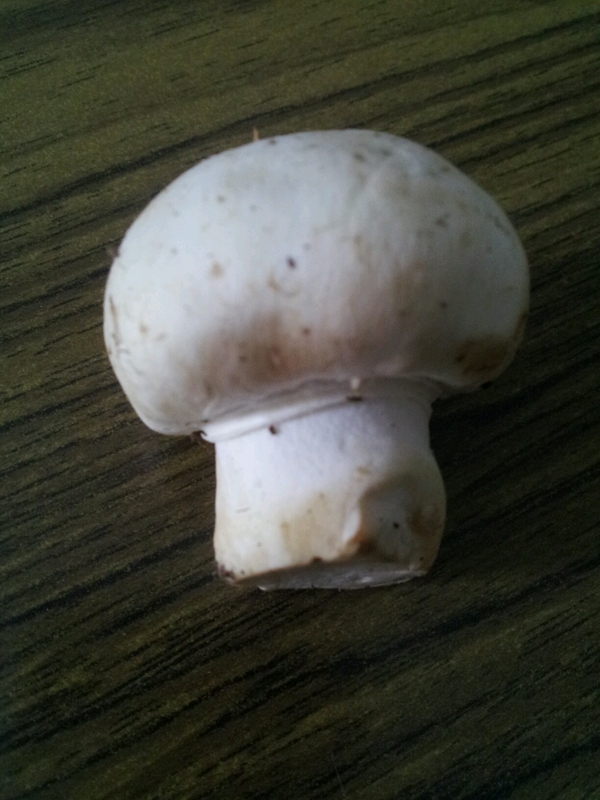 Bought a packet of ‘Button Mushrooms’ from Ratnadeep. Got them after reading about their nutritional benefits. High in antioxidants , has some rare minerals like selenium ,copper ,zinc and is also the only non vegetarian source of Vit D.
These look like a button , feel hard and not soft or mushy. 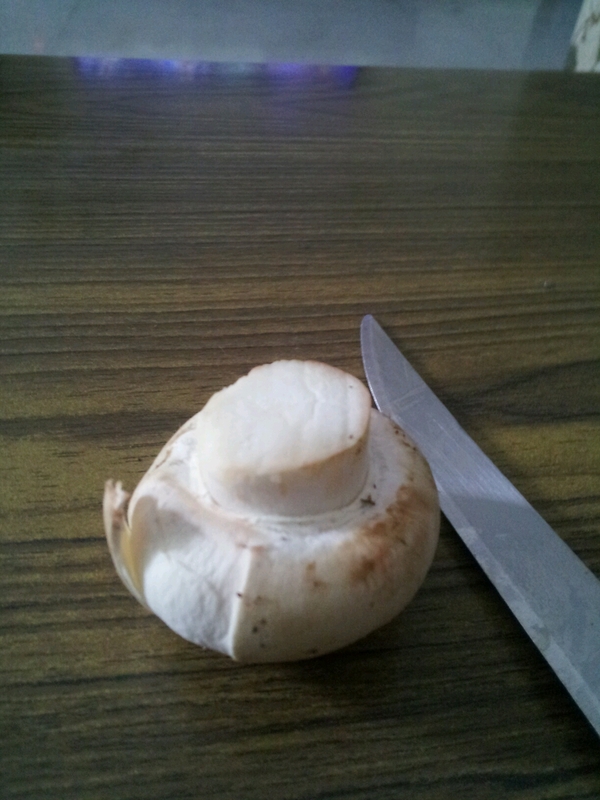 The layer around the bulb has to be removed and can be easily peeled with a knife. 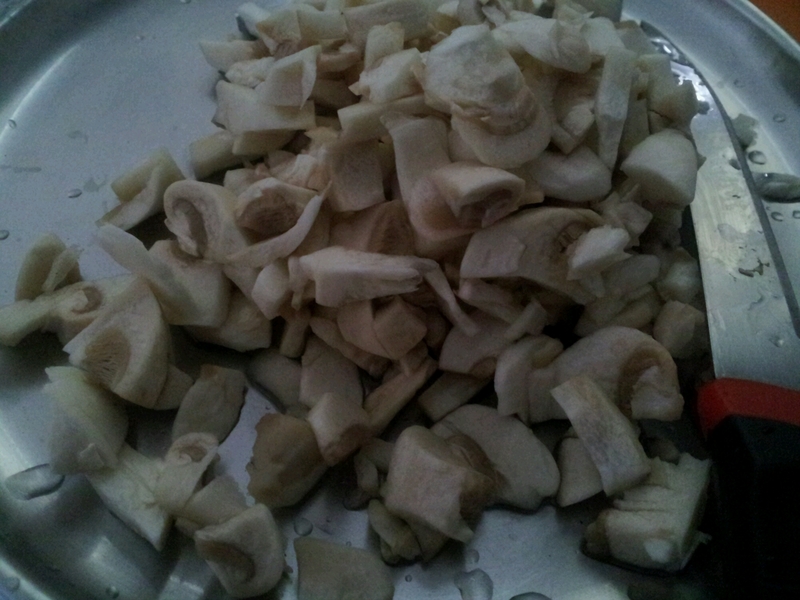 Wash them after peeling and chop them. 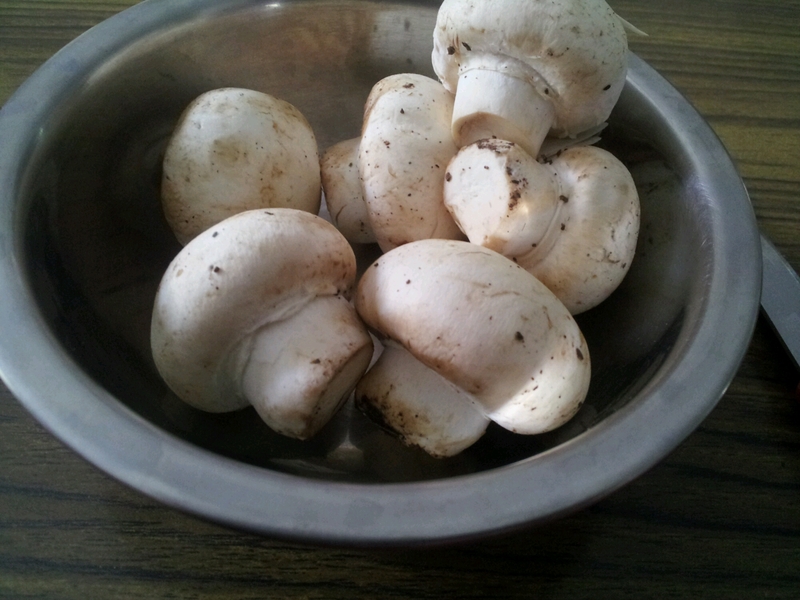 These are now ready to be added to any curry. They are tasteless and odourless ,hence can be included in most recipes.